Another year draws to a close. As usual at S2C we have seen new faces appear needing our help or offering support, old ones continuing or moving on to better things. There are also those we have tragically lost through illness during which we had the privilege of supporting them. I always take time to think back over the year, both at Space2Create and it’s people and also at the wider community. I think that this last year has seen two main sweeps in our society. Firstly the polarizing of views on a number of issues that has opened up deep wounds of culture, race and equality. The freedom now felt by some to express their prejudice against minorities or differences they perceive as a threat through increased verbal and sadly physical violence. The degrading of our society eroding core values which has left many struggling to make ends meet or afford the basic needs to support their families. This has been counterbalanced, locally at least, by a counter move to make social responsibility a shared responsibility of the whole community where those who can support those less fortunate. It should not have to be like this, the state should take that responsibility but it gives hope that some are not willing to sit by and watch people in their community go homeless or hungry or have no support for their illness or be isolated. So what is S2C looking to in the coming year. We have been slowly getting bigger and doing more each year so there is no reason to suppose that would change. I think the coming year is a very important one for us. We need to ensure we get maximum value from the space we have and the funding we get. We need to explore how we can support a wider range of society either by the sessions we run or by making closer and beneficial links with other groups. We also look to the space we have and opportunities to improve on that space either through development, expansion or even new premises. We also look to our provision of support and our personnel. We need to get the right people on board to help our service users the best we can and make sure that all is delivered very professionally to a high standard. Having said that we also need to keep that close community we have created where everyone at Space2Create has ownership and input into the organisation. We only ever have one real thought and that is to support the vulnerable people we have who are part of our small community at S2C and spreading that out into the wider community. On behalf of all who are part of S2C we wish everyone a better, more tolerant, supportive, caring and peaceful 2018. I am a great fan of Dickens. If you have never read one of his novels then I suggest you do. It might just open your eyes. If you look past the comedic larger than life characters and note the detail of life in Victorian England, not to mention the sometimes heartbreak stories that thread their way through each novel, then you might just begin to look around nervously. Not all his stories have happy endings. In the grim reality of Victorian Life, abject poverty, high infant mortality and child poverty, a broken and over crowded prison service, limited access to health care, poor living conditions, a vast gap between the poor and rich, a ruling elite blind to the needs of the poor, no social care, then you might read his novels with an air of deja vu. Dickens was one of those great illuminators and communicators, throwing light into the dark places and telling it to the world in a manner which the masses read and discovered. Oh we could so do with a Dickens for our modern times. But all we have is the Penny Dreadfuls of sensationalist news telling us how great the Empire will be again……for those who can pay. One of those in charge, member of our government representing the people and with responsibility for their and their countries wellbeing reportedly said that the less well off should work harder like they did. In equality gives those in power the luxury of believing they are right. This week I have witnessed the doctors and nurses in a local A&E working damned hard. With a corridor full of trolleys with ill people lined up its entire length waiting to be seen. I witnessed individuals with debilitating mental health problems fighting to get out and cope with life. I have witnessed the people on the streets with nowhere to go and no food. I have witnessed families relying on food banks to put food on the table. I have witnessed people holding down three jobs to keep their families with the basic needs. I have witnessed people being scared to walk the streets because ignorance about their ethnicity brings. At some point in my life I reached the conclusion that stuff is all very well. The most important thing in all our lives are the people around us. If we can’t treat them with respect, have our basic needs met and care for them regardless of who or what or where, then I think maybe this country needs a Dickensian reality check. I came across a report this week done by a number of organisations involved with children’s psychotherapy asking NHS staff involved in delivering children’s psychological services about the state of the services. The survey report that 84% responded that children needed to show more severe symptoms of illness in order to be seen than previously, that waiting times for treatment have increased, a third of children’s psychological services face downsizing or closure and three quarters responded there were not enough staff to meet demand. This seems pretty standard now across the NHS so in itself not surprising. However this sits alongside the reporting of a rise in Children’s mental health issues. I find this extremely concerning. I think, from my own experience, that issues in childhood profoundly affect an individual into their adult life so if those issues are not effectively tackled early those problems are going to stack up in the future putting increased pressure on adult services which cannot cope with the current levels of mental health problems. S2C, at the moment, works with over 18’s. We do what we do to support a whole range of individuals coping with their problems, a small cog in their support but one that helps. In the last 12 months on a number of occasions it has become clear to me that there is need for a service such as ours for the under 18’s. This comes from the direction of NHS services, family support services, schools, County Council Services all under pressure and reducing. We seem to be now in a perfect storm. We are running an education system that, in my opinion, is racking up children’s mental health issues while at the same time running down the services to support children in crisis. Somewhere in the last twenty years we have gone from a system which encouraged children to achieve the best they could to one where they are told you are a failure if you don’t achieve A**. There is no room for elitism in education results. The plain truth is that there are always those who will not achieve the top grades. The pressure being applied to children to achieve those grades from a ridiculously young age is appalling. More than ever young people are aware of the expectations of society. Along with pressure from education there is enormous pressure from social media and advertising to attain a certain look, lifestyle, career or fame where to not do so means you are a failure. Maybe its time we had a think about what we are doing. The Season of good understanding……. 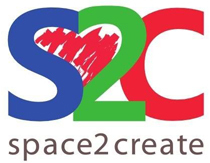 For many of the people who attend Space2Create the Christmas period is extremely tough. It brings with it a whole host of added pressure at a time in people lives when their ability to cope with such things is very low. In the current climate of poor support by the state it also means that more people and families will be getting more distressed as Christmas approaches than for a long while. If you are coping with a long term illness, mental or physical, then the Christmas season can be very difficult. It’s the pressure of being more sociable, expectations of being with family or that you are happy (or should be). You should, apparently, be off to a Christmas party with your mates and off doing your Christmas shopping and above all the pressure of all that advertising with lots of happy people having a good time. This is so difficult for those who are struggling. It adds an extra burden of expectation on them and it can literally drive some into more despair. So when you encounter somebody who doesn’t respond to your Christmas cheer maybe stop and think why. It often is not because they are miserable buggers. They may well be really struggling. Maybe just a smile is enough. Maybe they might want to chat and for you to listen. Things like that can, in some cases, make the difference between a person slipping quietly and unnoticed into suicide or having somebody listen enough for them to keep going. We make assumptions at Christmas. The individual in desperate need of help can slip by unnoticed. The thing with Christmas is everything shuts down. Services get reduced and people who are vulnerable very easily slip through the underfunded system. It is not just health related. Of course there are increasing numbers of families struggling and those being driven onto the streets by housing, benefit and social care systems now designed to victimize the people it was supposed to help. So please. over the festive season, think how you treat others. If everyone in a good position for Christmas can do one small kindness for someone who is not then the whole Christmas can be better for everyone. S2C is opening more this year over Christmas where in the past we have closed. It’s a little, means that people who are lonely or struggling can be with supportive and caring people for some of the time. Manna House always support the homeless amazingly at this time of year with the Winter Night Shelter and Christmas away days. The Kendal’s Peoples Volunteer Café are open and serving Christmas Dinner on Christmas Day this year. It is there for those who maybe can’t afford to have a special dinner or why not just go and support it even if you don’t. They need your support financially, in food donations, presents and just to be there for those who are less fortunate. Make that extra Christmas present of time, money, donations or just empathy or listening. It will be the best Christmas present you give this year.